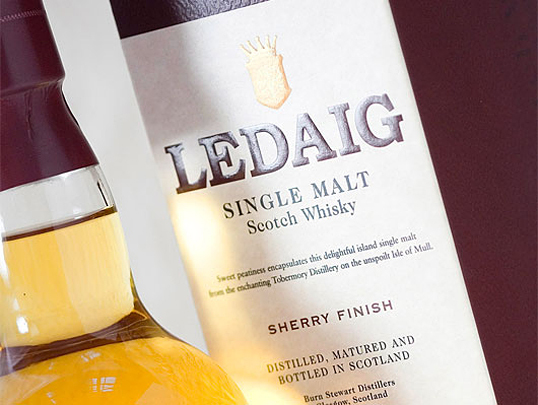 “When Burn Stewart Distillers introduced a new Sherry Cask Finish to their Ledaig range they briefed us to reposition the brand as a premium product through distinctive label design and to distinguish the classic, 7 year old and Sherry Cask Finish with a clear colour hierarchy. 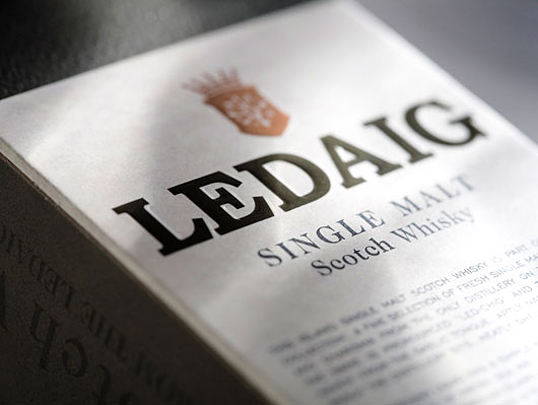 Our approach was to refresh the range highlighting Ledaig’s unique location on the island of Mull. Attention to details was key to creating a look that was premium and understated with a rich, but rustic colour palette, remaining true to the brand’s roots. 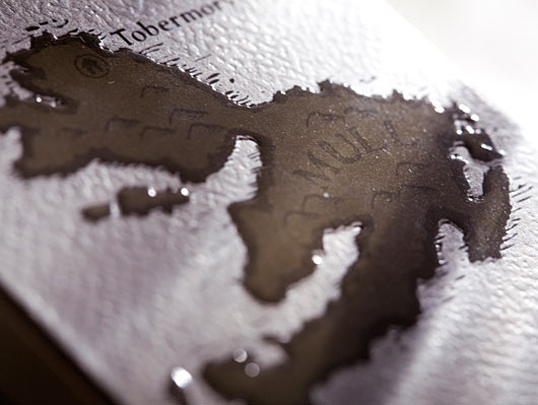 A bespoke woodcut illustrated map was commissioned which was then blind embossed and varnished on to the pack along with the crafted Ledaig logotype. Beautiful. Very distinguished. 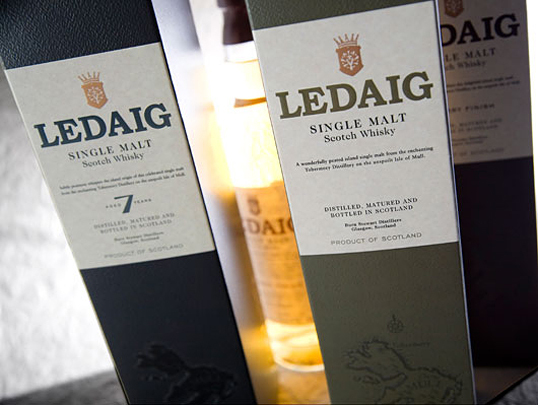 I can almost taste the refinement! Now I have to go check out my stash….